Don’t know a half back from a receiver? Confused about holding penalties? You don’t have to be able to give play by play commentary to enjoy the Super Bowl. Let Tacoma Library help. 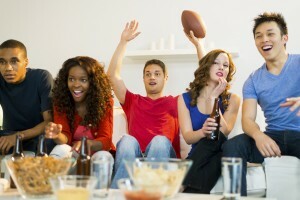 Here you’ll find lists for your every Super Bowl need—from books on the essentials of the game to its greatest players; from football movies to cookbooks to help you throw a fabulous party. We have everything you need to “get ready for some football”!